Currently sleeping between a rock and a hard place? Founded in New South Wales over thirty years ago, Bambi has long since helped Australian families sleep well under our southern skies, where the summers bake us dry and the winters bring fog and chill. This means a lot of interrupted sleep for us – so Bambi decided to do something about it. Although Australia is known as the “sunburnt country”, there’s no denying just how low the Fahrenheit can drop in winter. 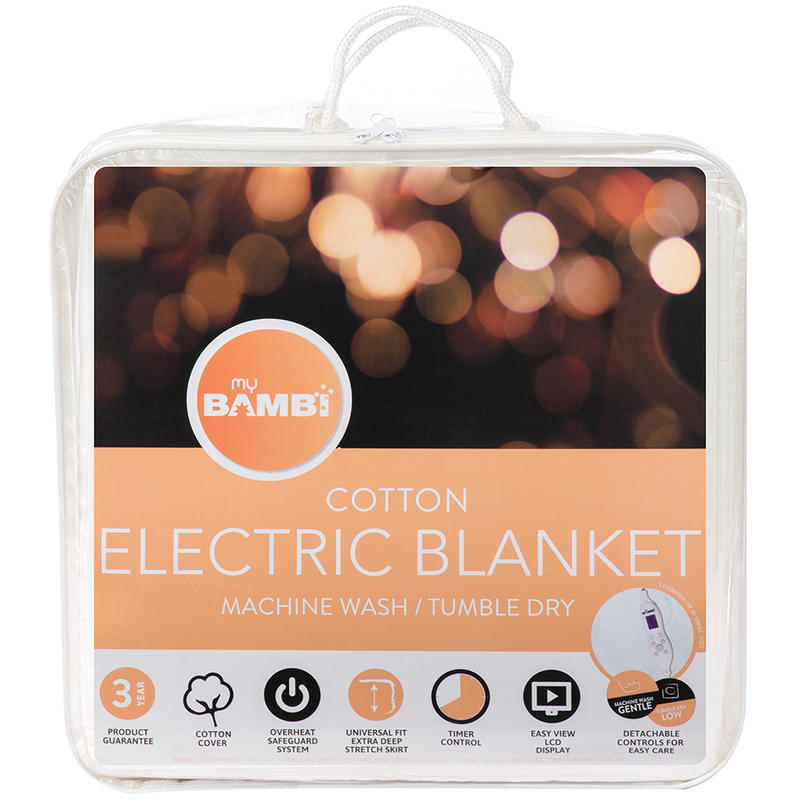 Here to save the day are Bambi’s fitted Cotton Electric Blankets, which have been designed with sateen cotton covers and dual controls for individual, personal comfort among couples. They also run on a timer for up to ten hours of continuous use. Able to be machine washed and tumble dried, a blanket like this is really sure to set the mood come winter. Fitted blanket with sateen cotton cover. Dual controls for personal comfort. Timer control allows you to select up to ten hours of continuous use. Presented in a zippered bag for storage when not in use.